TM51 is pleased to present Petter Buhagen and Ingri Harladsen’s exhibition Brakk at TM51 Thorvald Meyers gate and TM51 Infill. Brakkis Buhagen and Haraldsen’s fourth collaborative exhibition (afterKrater, Mental Istid and Face/NoFace). With Brakk Buhagen and Haraldsen have explored the possibilities inherent in visual communication by breaking down images and materials to their most elemental forms. One of the main questions raised by this process has been: how do we deal with the opaqueness and the unfamiliar in an age where instant access to exact answers is commonplace? The works in the exhibition hinge on overlapping themes in Buhagen and Haraldsen’s respective practices. Buhagen’s works, which revolve around printing techniques and apparent coincidences, could seem in contrast to Haraldsen’s meticulously detailed drawings. This would however be a simplistic interpretation, as Haraldsen’s naturalistic renderings of the material world often aren’t recognizable as such, and can appear just as dissolved into abstraction as Buhagen’s work. 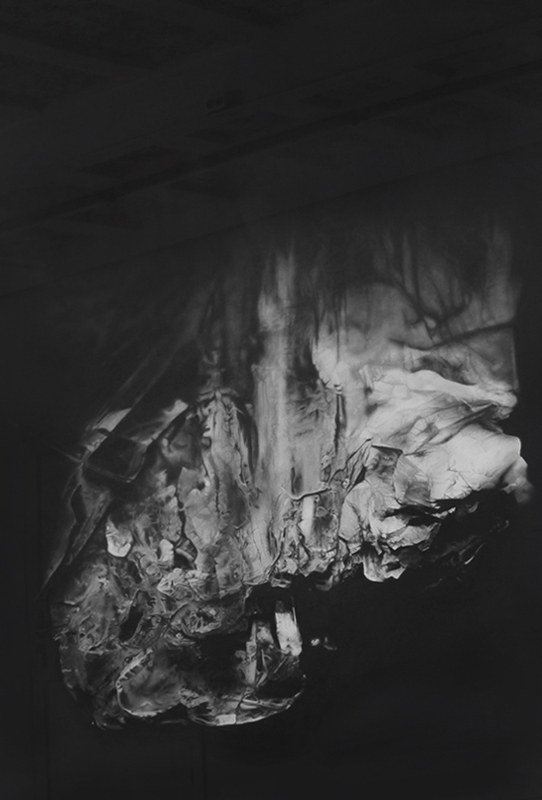 The question of abstraction is also relevant for Buhagen’s copy machine works, where the same image is subject to multiple runs through the copy machine, resulting in works that can be understood as indexical of the copying process in itself. Petter Buhagen (b. 1983) and Ingri Haraldsen (b. 1984) live and work in Oslo. They have upcoming exhibtions at Trønderlag Senter for samtidskunst spring 2015 and Norske Grafikere fall 2015. Buhagen is currently part of the group exhibition Europe, Europe at the Astrup Fearnley Museum.